So what are you doing New Year’s Eve? Going out to a party somewhere or like the majority of people staying home? In China firecrackers were used to ward off the forces of darkness. Honey dipped apples are a Rosh Hashanah tradition amongst Jewish people. In homes in Switzerland,spoonfuls of whipped cream are dropped onto the floor and remain there symbolizing the richness of the coming year! This is not happening at my house, the dogs eat everything that hits the floor! Toasts are made in Holland with hot, spiced wine. Hm, another idea is brewing! In Scotland to ensure one’s good luck, coal, shortbread and silverware are exchanged. And last but not least my personal favorite: What ever you do New Year’s Day, you will be doing all year long! With that said, you better make it a good day! My niece feeding the chickens! As you celebrate this year we wish you a wonderful and blessed Christmas. 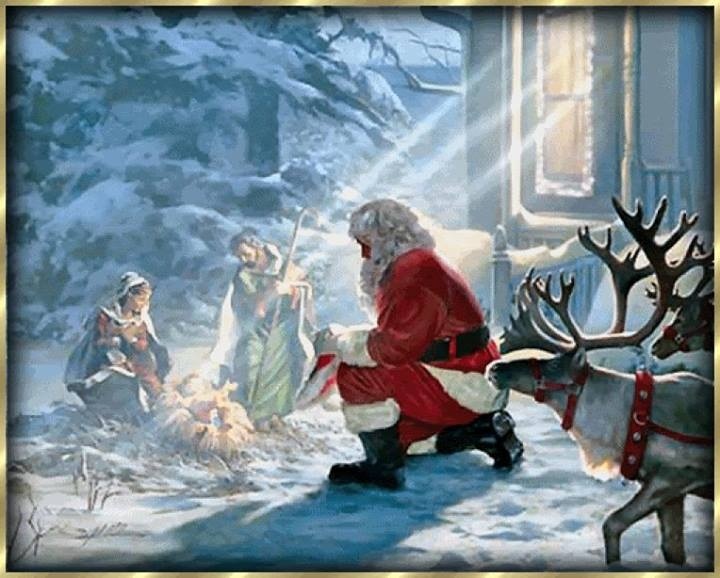 As we all unwrap presents and feast lets remember why we celebrate the season!